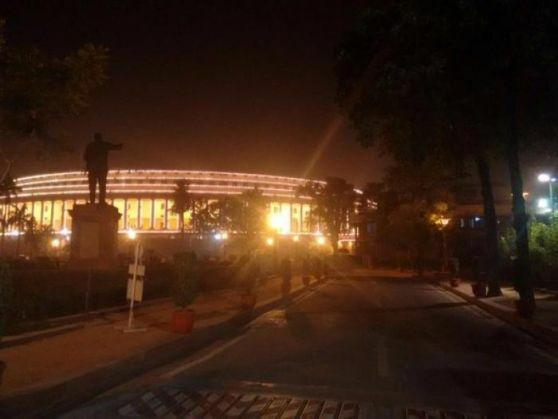 On Wednesday evening, Prime Minister Narendra Modi tweeted this particular photograph of the Parliament House, brightly illuminated on the eve of the first ever Constitution Day of India. The Constitution of India came into force on 26 January, 1950. But it was adopted on 26 November, 1949. "Greetings to people of India on the historic occasion of 1st Constitution Day. May this day inspire you to know more about our Constitution," Modi tweeted. "This day is a tribute to all those great women & men who worked tirelessly to give India a Constitution we are very proud of," he said. "No mention of our Constitution is complete without remembering the stellar contribution of Dr Babasaheb Ambedkar. I salute him," PM Modi said.